The Agatha Christie Reading Challenge is run by Kerrie at Mysteries in Paradise (thank you to Margaret at BooksPlease for introducing me to it). 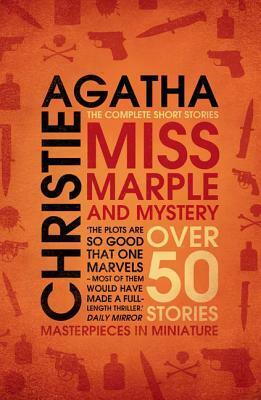 Until very recently (December 2017) I had never read anything by Agatha Christie. I was convinced I had from how many film and television adaptations I have seen over the years, but in reality, no. Nothing. While on holiday I found a collection of short stories by Agatha that had been kindly donated to the cottage we were staying in. And then I got this for my birthday in January 2018. Below chronicles by journey through the Agatha Christie’s back catalogue. Once I have read a story I will write a review and link to it here. Although there is no time limit to this challenge, I am aiming to read another 10 during 2019 as part of the Goodreads ‘An Authors Work‘ challenge. Have you Got Everything You Want?